I found the 1 dolor had a big hole not through or Chip in front of the the loonie in the water. is this an error? have any value? is this worth to send to grade? 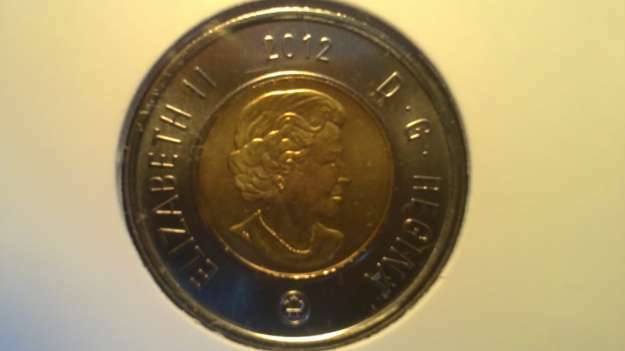 the 2 dolor coin I notice the core is misaligned in front of the queen has an arc but in the back has nothing . any Value? worth to send to grade? thanking you in advance for the help! 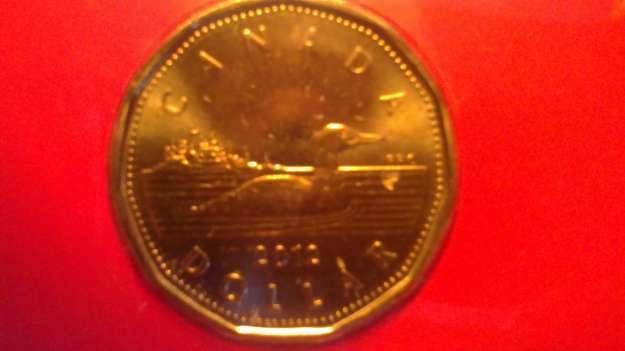 Re: 2012 O Canada set error? Don't send it in to grade. It will cost you 10 times more than the coin(s) will ever be worth. The twonie has a minor alignment abnormality, but it looks within specs (or how you can find them). 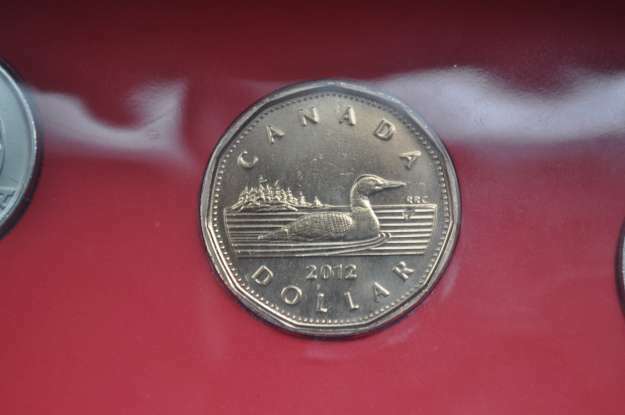 The loonie looks like a small die chip, but possibly post-mint damage. Just keep asking questions to learn/understand things for yourself. Almost NEVER will you ever need a TPG to tell you what you have. After you pay the TPG and postage (usually both ways), all you have a coin imprisoned in plastic with a little piece of cardboard that gives an opinion of what you have on that given day. Thanks! Bill for educating me.